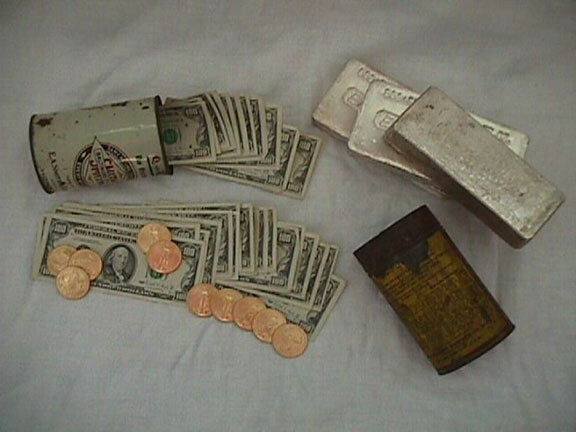 This cache contained currency, silver bars and gold coins. Many locations have several types of treasure buried in one spot. Collector's value can far exceed face value of any cache. When digging up a treasure it is very important to handle the contents very carefully; otherwise, you can easily destroy the numismatic value. This particular cache was an easy target for our locators.